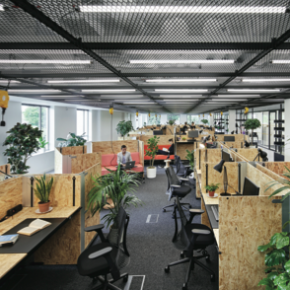 The latest issue of ABC&D Magazine covers Hyundai Capital’s new UK headquarters which redefines the workplace by empowering employees to make the office their own home. Hyundai Capital (HC), recently awarded Captive Finance Company of the Year, has unveiled its UK headquarters located in Reigate, Surrey. Workplace design and architecture firm, Gensler, has designed a highly flexible and authentic environment spanning 869m2. The office has not only been created to match HC’s progressive office design around the globe, but one that will meet the evolving needs of HC as it transitions from financial services to fintech, strengthening its digital resources and services. Formed as a joint venture in July 2012, HC is the UK subsidiary of South Korean consumer finance company, Hyundai Capital Services. Having shown remarkable growth in its relatively short history, Gensler was tasked with creating an environment that will continue to attract top talent while delivering an office that meets the needs of its existing clients and employees. The office plan is split into six key areas, several of which are directly inspired by features of the traditional home: The Living Room, the Kitchen, the Game Room, the Meeting Rooms, the Open Workspace and the Office Lockers. With social integration a key priority, the new office eliminates the traditional reception area in favour of an open plan social hub. This enables visitors to mix with employees as soon as they arrive and gain immediate insight into the philosophy of HC. In addition to the kitchen, lounge and games rooms, other features such as optimised views, plenty of natural light and biophilic finishes, give the space a calming and restorative atmosphere, creating a home-like ambiance; a place where people want to be. Employees are encouraged to bring in plants, vinyl records and books, enabling them to co-opt and hack the space to truly make it their own. The design also takes into consideration that this new home must accommodate an expanding workforce. 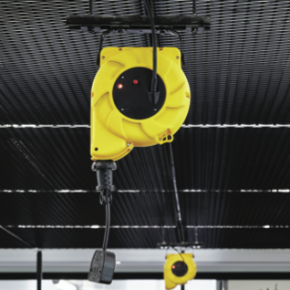 By embracing this key consideration, the design is more akin to a kit of parts that users can modify to best suit their work needs. 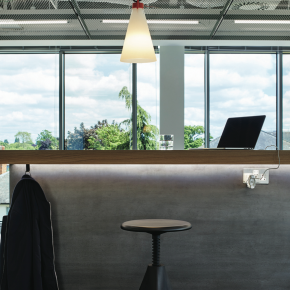 The individual table system allows staff to adjust the height of their desk for standing, sitting and lounge options. Folding walls, pull down power cords and writable walls within different spaces allow for employees to further adapt their space for independent or collaborative work, as well as relaxation. The design features a functional, yet sophisticated industrial aesthetic. Monochrome accents bring cultural context to the interiors, drawing inspiration from London’s Victorian architecture. The office also features a bespoke intellectual graffiti art installation by Aakash Nihalani, the iconic street artist hailing from New York, that captures the creative flair HC looks for in its employees. Facing a stretch of lockers in the office, the graffiti’s cobalt blue adds a striking contrast to other parts of the office. The progressive new setting adds to a portfolio of Gensler designed Hyundai offices across the globe. These include HC’s European headquarters in Frankfurt, Germany and the Hyundai Music Library, Understage, and Convention Hall in Seoul, South Korea. Among these, the Hyundai Capital Convention Hall was recently awarded for its cutting-edge design at the IIDA Global Excellence Awards in Chicago.